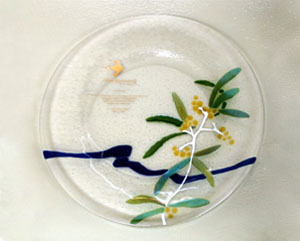 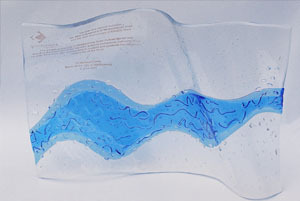 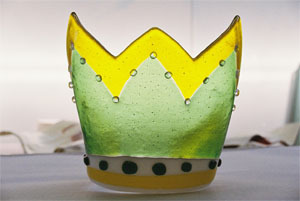 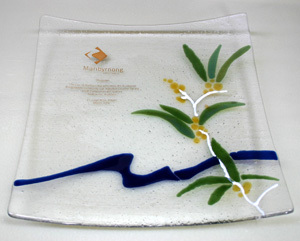 Blue Dog Glass can produce a broad range of customized designs for both private homes and commercial premises. 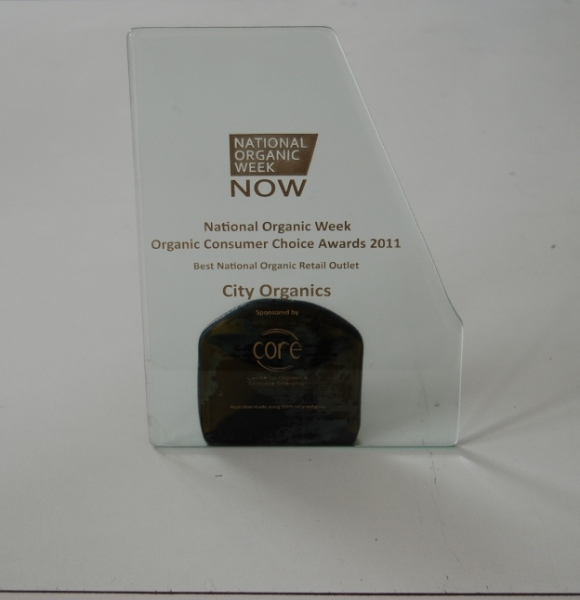 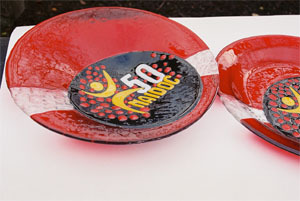 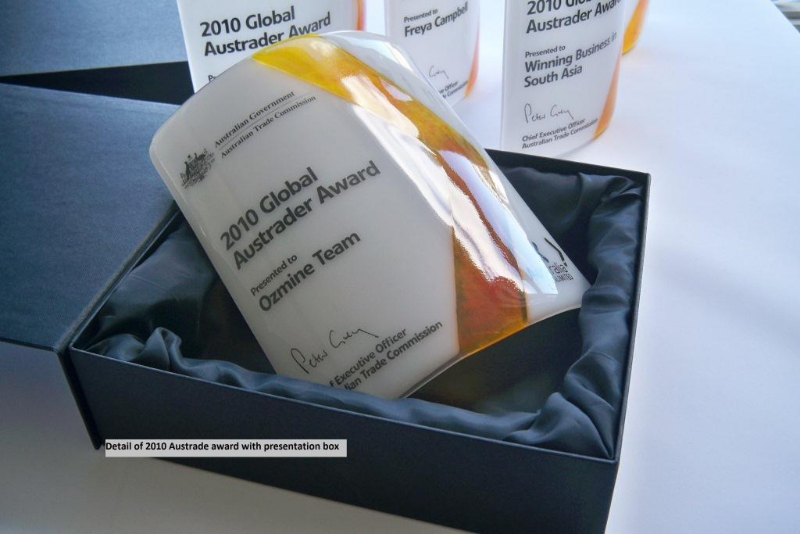 For commercial use we design and produce platters and tableware for catering, signage panels, awards and trophies, slumped glass panels and corporate gifts. 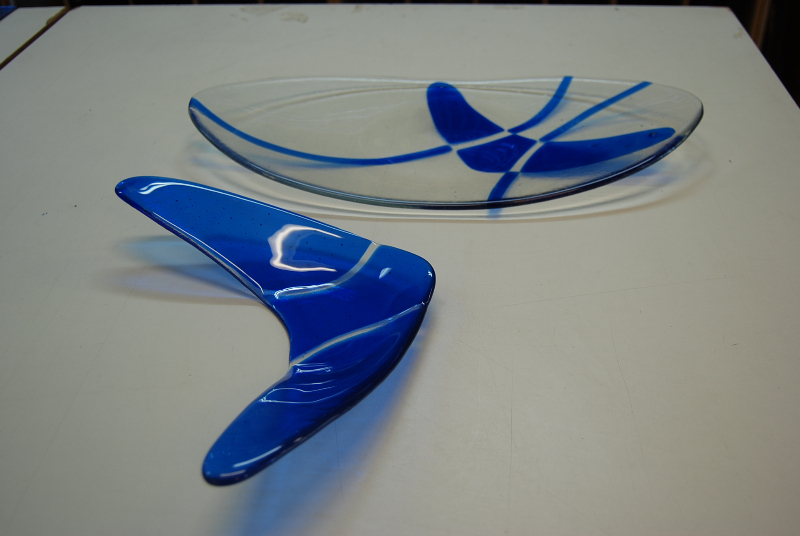 We also collaborate with clients to create that special piece to bring a desired ambiance to private and commercial environments. 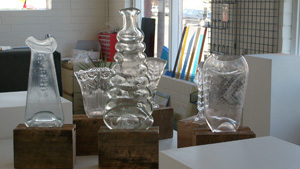 Please contact us to discuss your ideas for your home or business. 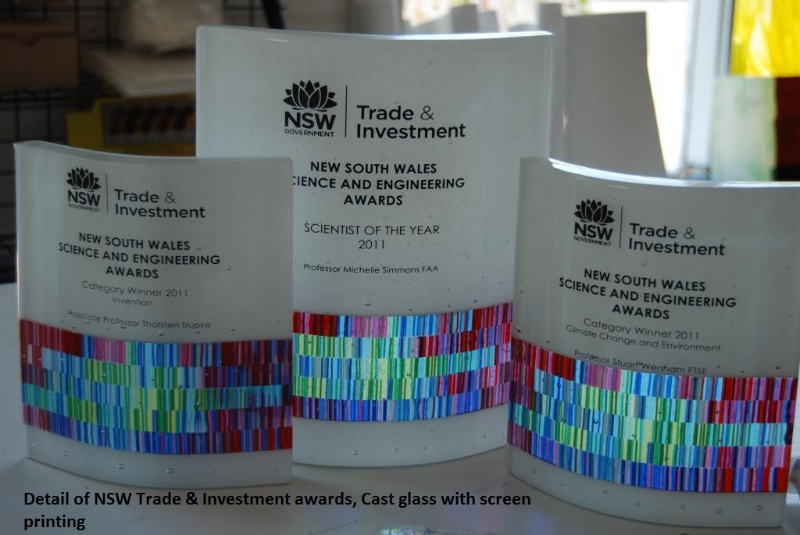 Our broad technical skills ranging from fusing, slumping, screen printing, etching and casting allow for an extraordinary diverse range of options in scale, design and budget. 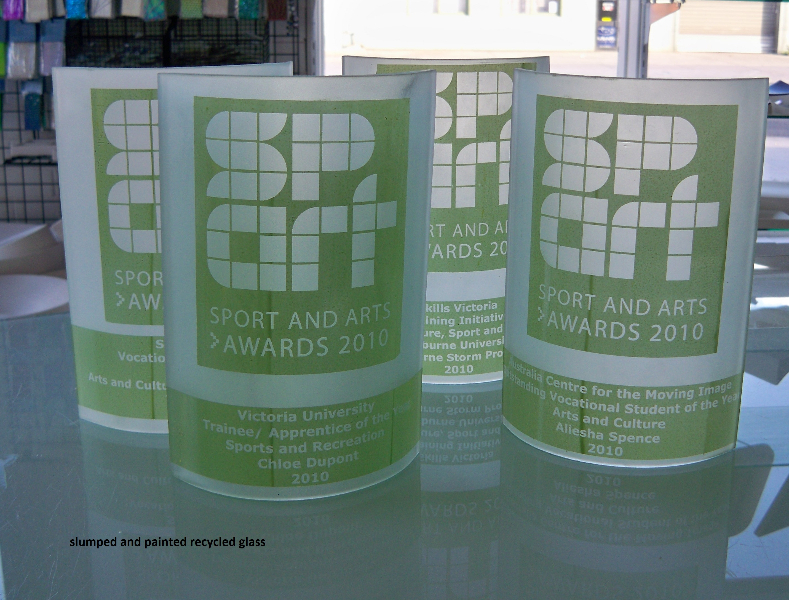 An extensive range of high quality coloured glass, clear and recycled glasses are all available as material options. 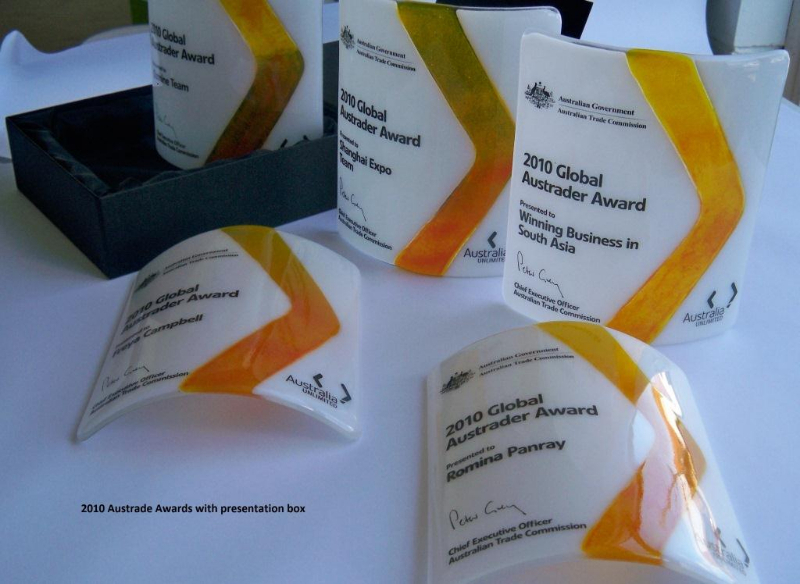 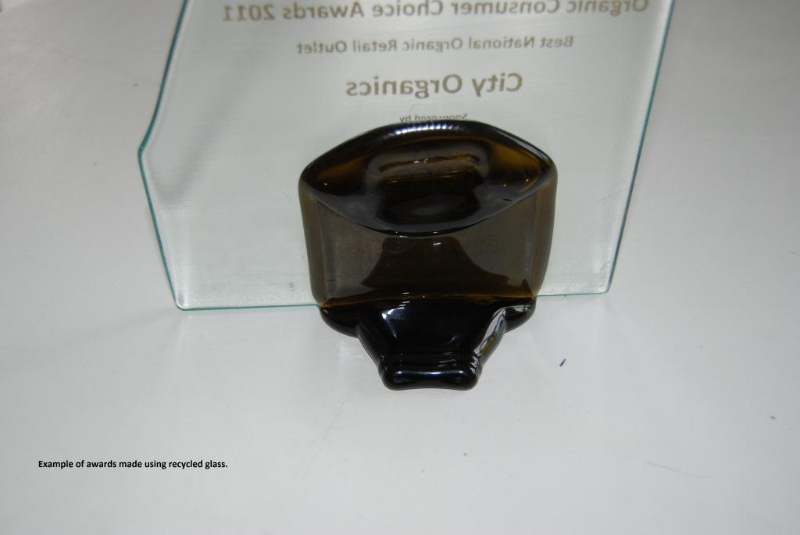 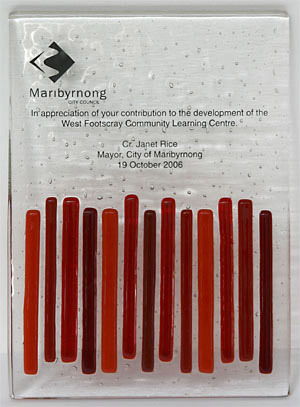 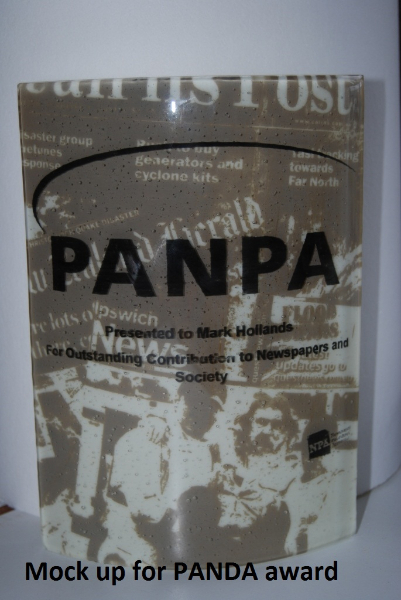 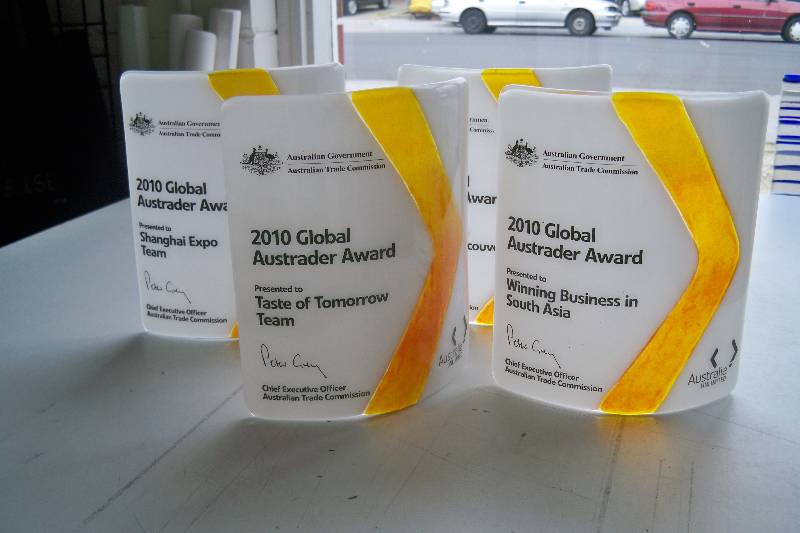 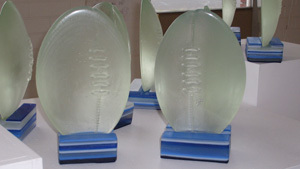 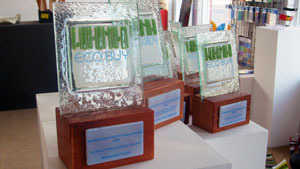 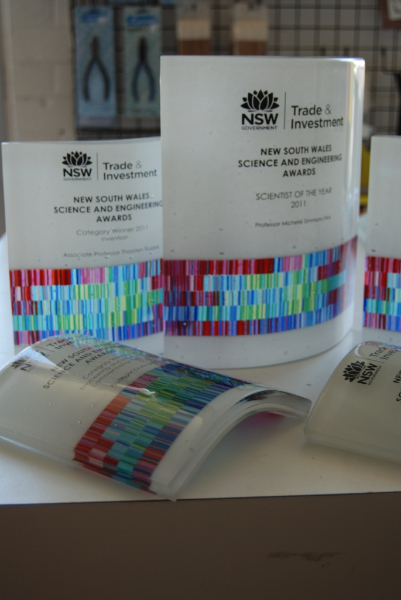 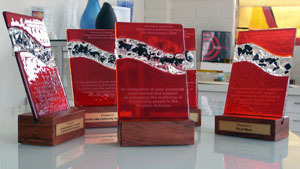 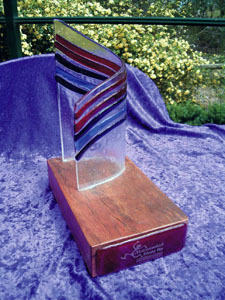 We can custom make awards using a variety of techniques to suit your organisations needs.